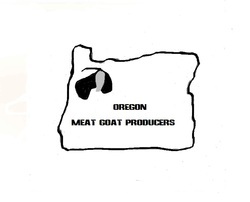 Welcome And Thank You For Visiting Oregon Meat Goat Producers. saying goes! I am the goat 4-H leader in Clackamas County for Tops 4-H Livestock. I enjoy raising meat goats and focus on raising quality market show kids for youth to show at Fairs and Jackpot Shows. Goats are not only great for our youth to show and learn about agriculture, goats are very excellent in converting weeds, blackberries and brush into high quality meat. Forget the chemical spray and get a goat! You are able to clear land in an environmentally friendly manner and have a high protein low cholesterol red meat that is delicious for the dinner table! the world making it a valuable food source as well as an organic weed and blackberry controlling agent. and 100. We soon learned that was way too many and if we ever wanted to do anything but be in the barn we needed to cut down. We now have a much more manageable herd of around a dozen goats, which is much easier to handle. The goats are a lot of work but at the same time they are fun and interesting. Over the years we have supplied many 4H and FFA market goats to kids in the valley and a lot of them have done well at fairs. We will continue to do that for awhile longer until we decide it's time to retire and go travelling more. My husband and I have been married for 48 years in December. I am a Native Oregonian. I graduated from McMinnville, High in 1963. He is originally from Texas. We met while we were both in the navy. We have lived on our ranch for eleven years and have been raising our Heritage Spanish Goats for the last five. This is the baby in my husband's "Back Page Story" In the December issue of the newsletter. Disclaimer: Oregon Meat Goat Producers hereby disclaims any liability or warranty as to the information furnished to the user of this program and information, and in particular, there are no implied or express warranties or merchantability or fitness for a particular pupose the user of this information accepts full and sole liability and responsibility for any loses, claims or damages occaisioned by the utilization of this program and the information contained herein, including any errors in said program. This site contains links to other internet sites. Such links are not endorsements of any products or services in such sites, and no information in such site has been endorsed or approved by Oregon Meat Goat Producers. The statements and recommendations made in this program and informtion have not been evaluated, approved or endorsed by any governmental agency or veterinarian. They are solely the personal experiences of folks who raise livestock and are not intended to replace professional veterinary and/or medical advice. Any person making the decision to act upon this information is responsible for investigating and understanding the effects of their own actions and accepts all risks associated with or resulting from such actions. Oregon Meat Goat Producers makes no claims of effectiveness or safety of any such information and makes no endorsement of any kind.